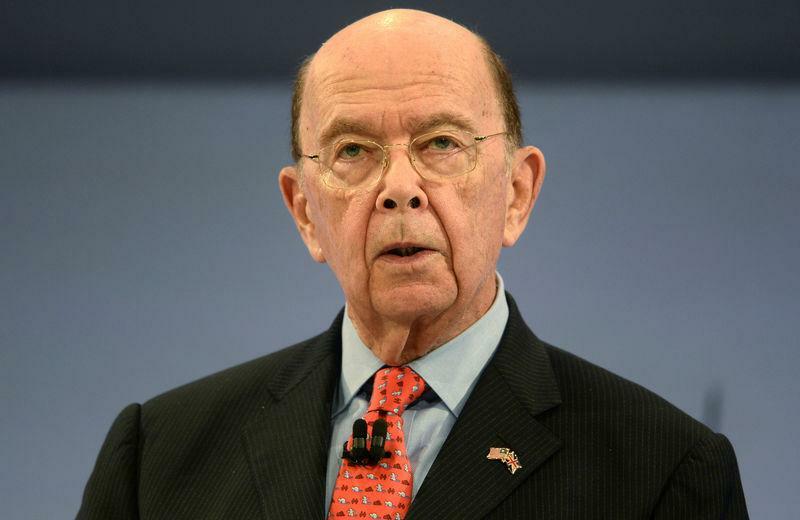 WASHINGTON (Reuters) - U.S. Commerce Secretary Wilbur Ross said on Monday he probably would not keep his holdings in a shipping company with business ties to Russian President Vladimir Putin's inner circle and that he had fully and properly disclosed investments. Pressed on whether he would retain the interest in Navigator Holdings, Ross told Bloomberg Television: "I've been actually selling it anyway, but that isn't because of this." Ross, a billionaire investor who is helping to shape Republican President Donald Trump's trade policy, was criticized when several media outlets reported that he had failed to disclose that one of Navigator's clients is Russian gas and petrochemical company Sibur. Sibur's owners include Putin's son-in-law, Kirill Shamalov, and Gennady Timchenko, a Putin associate who is subject to U.S. Treasury sanctions. The information is based on leaked documents from offshore law firm Appleby that are part of the so-called Paradise Papers, which show details of business dealings by wealthy people and institutions ranging from Ross to Britain's Queen Elizabeth and trading firm Glencore (GLEN.L). They were obtained by Germany's Sueddeutsche Zeitung newspaper and shared with the International Consortium of Investigative Journalists (ICIJ) and some media outlets and published on Sunday. Reuters has not independently verified the documents. The Paradise Papers are the second release of its kind by the ICIJ, which last year published the "Panama Papers," leaked documents from Panama law firm Mossack Fonseca that chronicled a shadowy world of offshore holdings and hidden wealth. Ross said in multiple media interviews that he had fully disclosed his stake in Navigator Holdings as part of government ethics requirements. "There was disclosure, there is no impropriety and if people draw a contrary conclusion that's because the papers have twisted the story and made it into something that it's not there," Ross told the BBC. U.S. media said partnerships used by Ross have a 31 percent stake in Navigator Holdings, which was included in Ross' 57-page public financial disclosure report filed in December, before he officially joined the Trump administration. Richard Blumenthal, a Democrat on the U.S. Senate Commerce Committee, said Ross had deceived the public as well as lawmakers who had confirmed his appointment to Trump's Cabinet after he promised to divest holdings that posed conflicts. Blumenthal called for an investigation and hearings. "If he fails to present a clear and compelling explanation, he ought to resign," Blumenthal told MSNBC. Senate Commerce Committee spokesman Frederick Hill said that Ross' interest in Navigator was disclosed to the panel, but added: "The committee expects Secretary Ross will follow the advice of his department’s ethics officials should there be a determination that any holding creates a conflict of interest." Navigator did not come up at Ross' confirmation hearing in January, but he was asked about his decision to retain an interest in Diamond S Shipping, which operates 33 petroleum product tankers. Ross said his research showed that no ocean shipping cases had ever come before the Commerce Department. Ocean shipping is regulated by the Federal Maritime Commission, an independent agency. But asked by Democratic Senator Maria Cantwell if he would look at additional areas for possible further recusals from potential conflicts of interest, Ross replied: "I intend to be quite scrupulous about recusal in any topic where there is the slightest scintilla of a doubt." Scrutiny of any ties between Russia and Trump administration officials has intensified with investigations into allegations by U.S. intelligence agencies that Russia interfered in the 2016 U.S. election campaign and potential collusion by the Trump campaign. The Kremlin has denied such meddling and Trump has denied any collusion. Officials from Navigator could not be reached for comment. Appleby released a statement late on Sunday saying that the release of its documents was the result of "an illegal computer hack" and not a leak. "This was not the work of anybody who works at Appleby," the firm with offices in Bermuda, the Cayman Islands, Hong Kong and other offshore jurisdictions said. Appleby said there was no evidence of any wrongdoing.